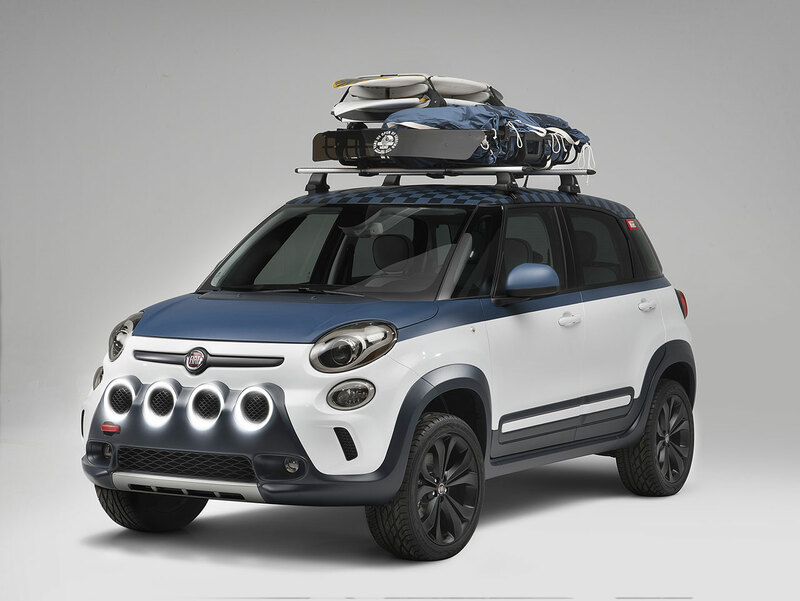 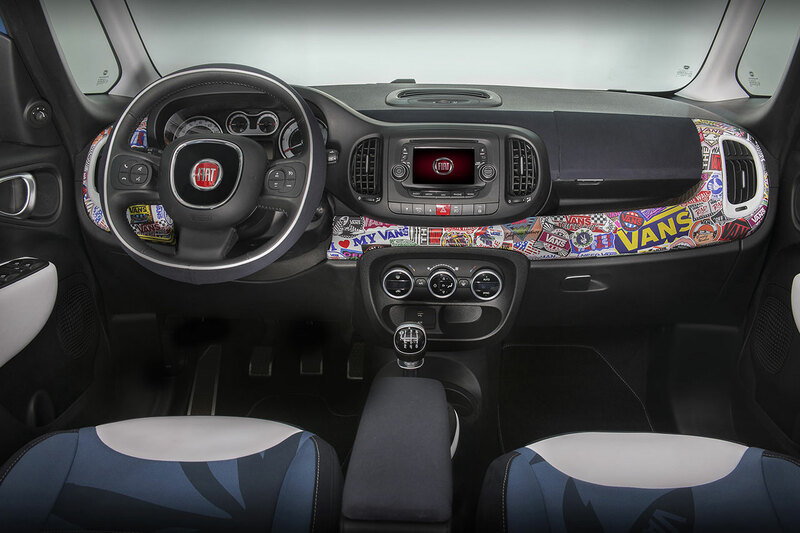 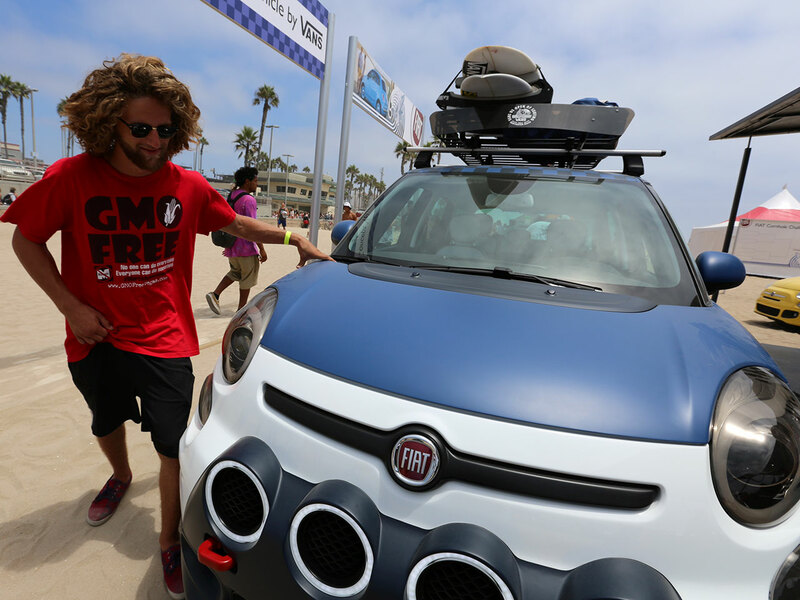 At the Vans US Open of Surfing in Huntington Beach, Calif., the FIAT brand will debuted a Fiat 500L-Vans design concept. 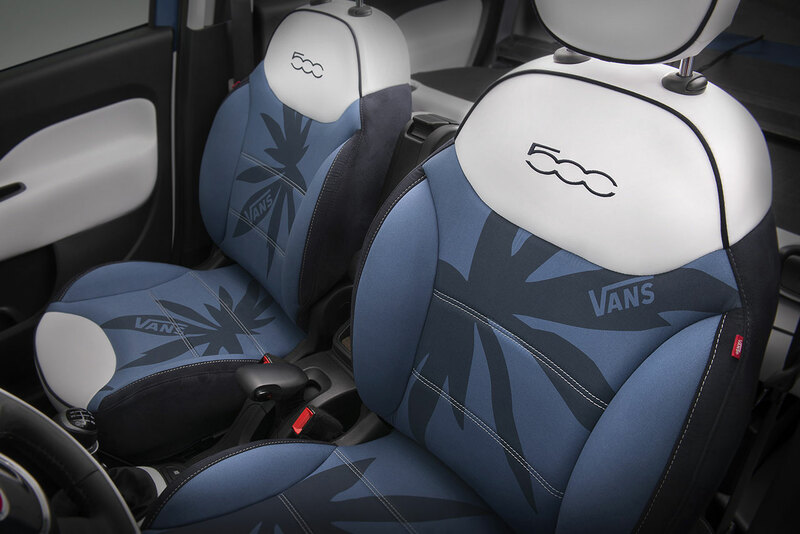 Details from Vans original hi-top shoe are echoed throughout the vehicle, including vintage palm-patterned canvas, Vans logo stickers on the instrument panel and Vans Waffle Sole on the pedals and in storage bins. 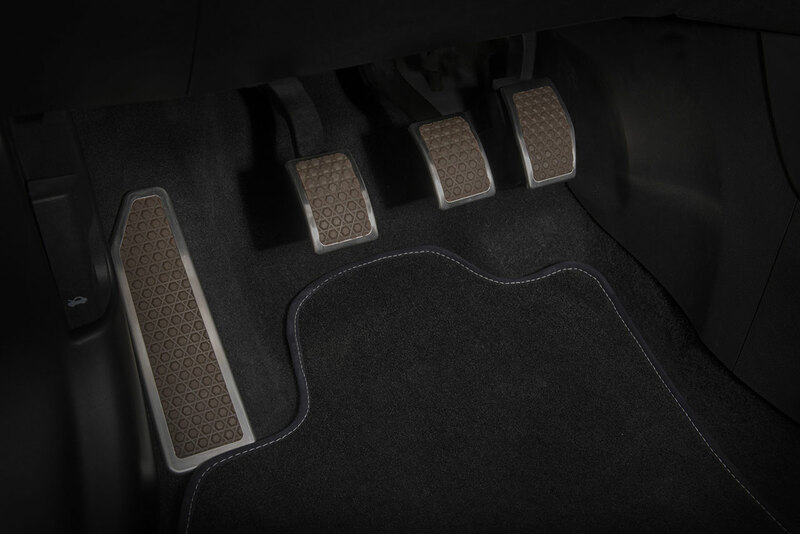 On the exterior, the roof displays the iconic Vans Checkerboard pattern, while the step pad, cladding and grille texture are accented with the Waffle Sole design. 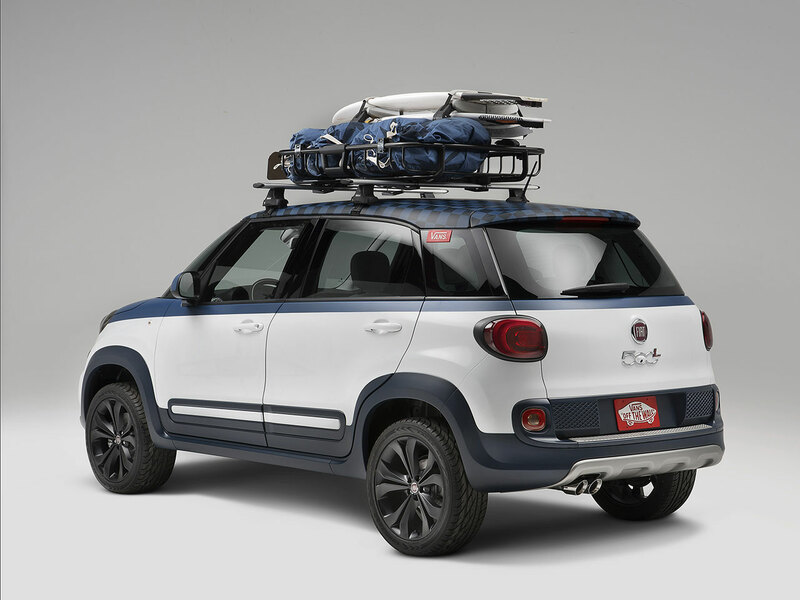 Other unique features include a two-tone body color paint scheme, 18-inch matte black wheels and a roof rack with a basket and a double-decker surfboard carrier.